In large bowl, beat butter, 1/2 cup granulated sugar, the vanilla and 1 egg with electric mixer on medium speed, or mix with spoon. Stir in 2 cups flour and the salt. Cover; refrigerate about 1 hour or until firm. Meanwhile, in small bowl, beat all filling ingredients except powdered sugar with electric mixer on medium speed, or mix with wire whisk. Cover; refrigerate. Heat oven to 350°F. 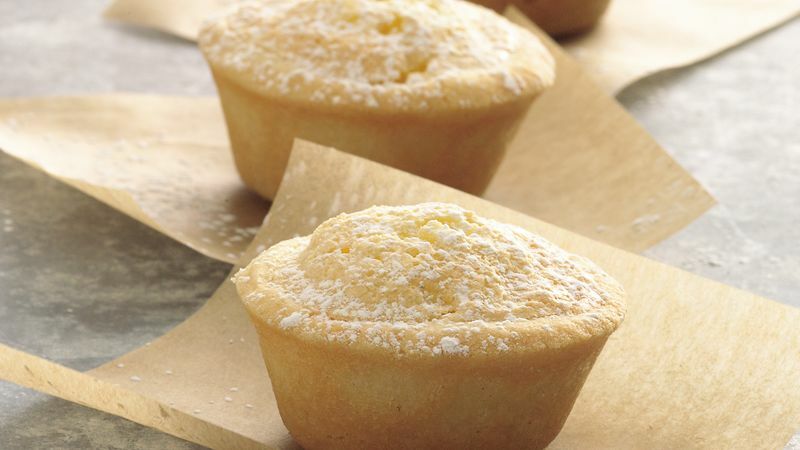 Spray 48 mini muffin cups, 1 3/4 x1 inch, with cooking spray. Shape dough into 48 one-inch balls. Place 1 ball in each muffin cup. Press dough into bottom and up side of cups. Spoon slightly less than 1 tablespoon filling into each cup. Bake 18 to 20 minutes or until centers are puffed and edges are light brown. Cool in pan 30 minutes. With tip of knife, lift tarts from muffin cups to wire rack; cool completely. Just before serving, sprinkle tarts with powdered sugar. No guesswork here--one medium fresh lemon will give you about 2 to 3 tablespoons of juice and 2 to 3 teaspoons grated lemon peel. To get the most juice out of a lemon or lime, it should be at room temperature, or microwave it on High for about 20 seconds or so to warm it. Rolling a whole lemon back and forth on the counter while pressing gently also will give you more juice.